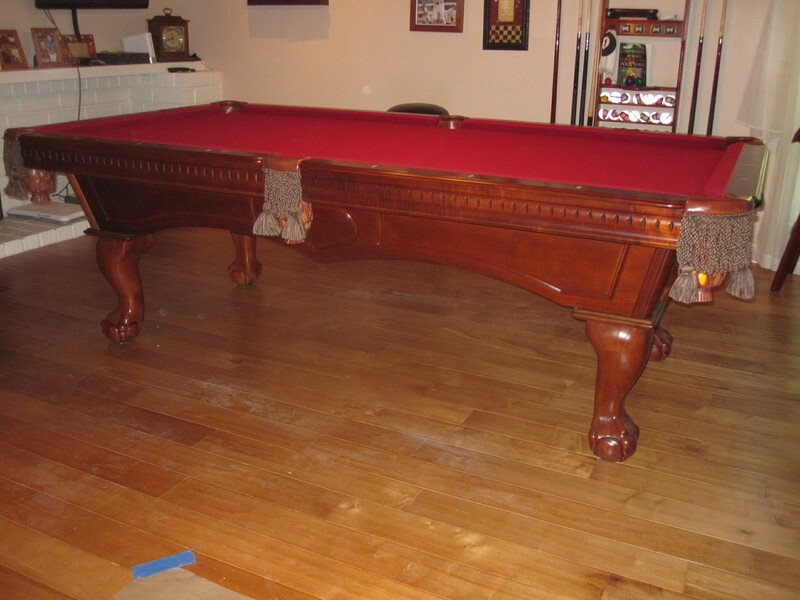 Here is a 7′ slate pool table we serviced last week in San Clemente, CA. Our clients had new carpeting installed and noticed that their pool table wasn’t level after it was put back in the game room. I asked the Mrs. how the table was moved and she told me that the carpet guys just picked it up and carried it to the entryway. 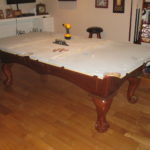 Fortunately for this pool table the only bad thing that happened as a result of improperly moving it, was an uneven slate seam and an un-level playing surface. 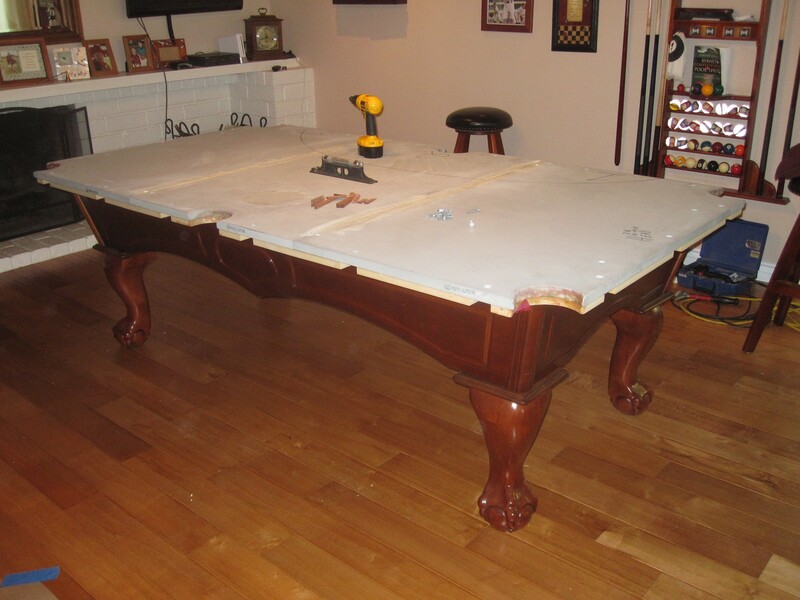 It is never a good idea to move a slate pool table in one piece, even if it is only ten feet outside of a room. 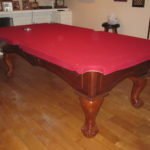 The first reason is because most of the time the persons moving the pool table do not know where to grab a hold it. They usually pick it up from the blind aprons, which are very weak and can snap off easily. 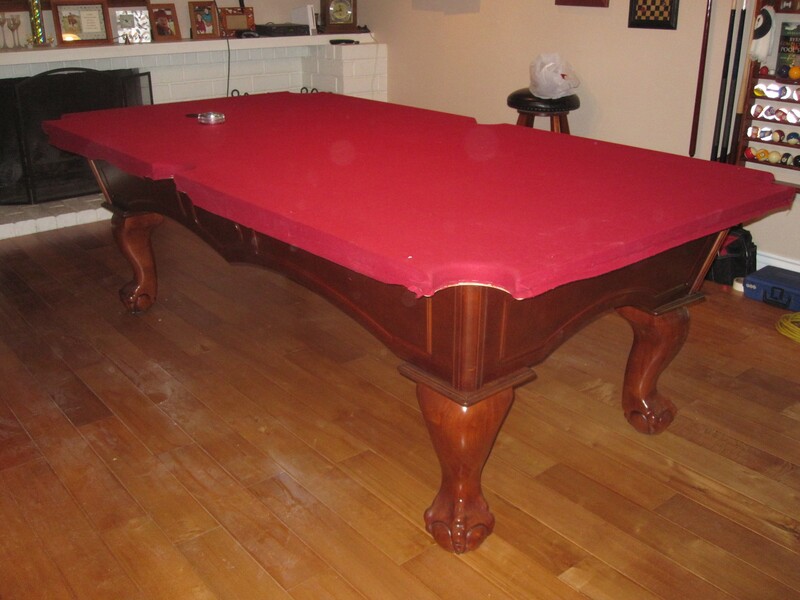 The second reason is because if the pool table is twisted slightly as it is being man-handled. The slate seams can shift and become uneven. 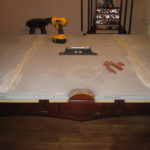 The third reason a three piece slate pool table should never be moved whole is that it will need to be re-leveled, most carpet guys will not re-level a pool table after they have lugged it back to the spot where it was. 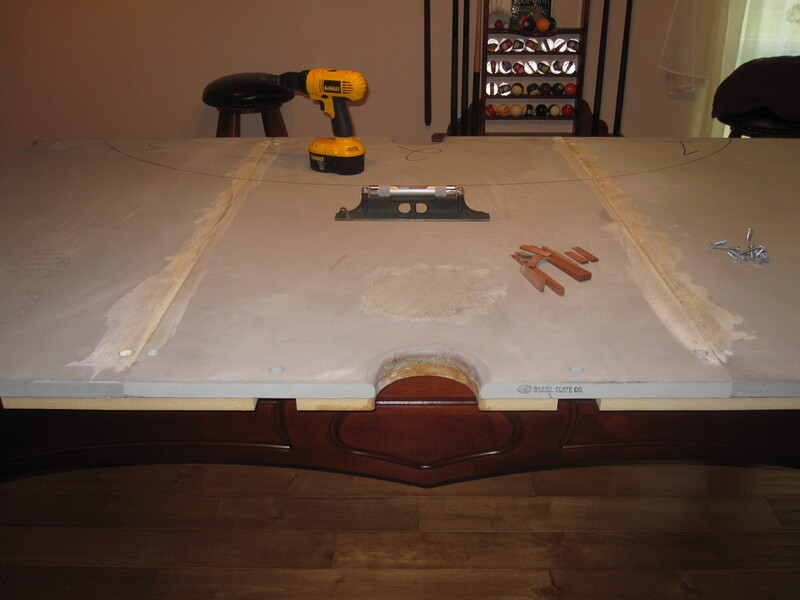 Oh and by the way, most carpet installers will fail to even get the pool table back in it’s spot straight. Eight times out of ten the table is not centered under a light or parallel with the walls! 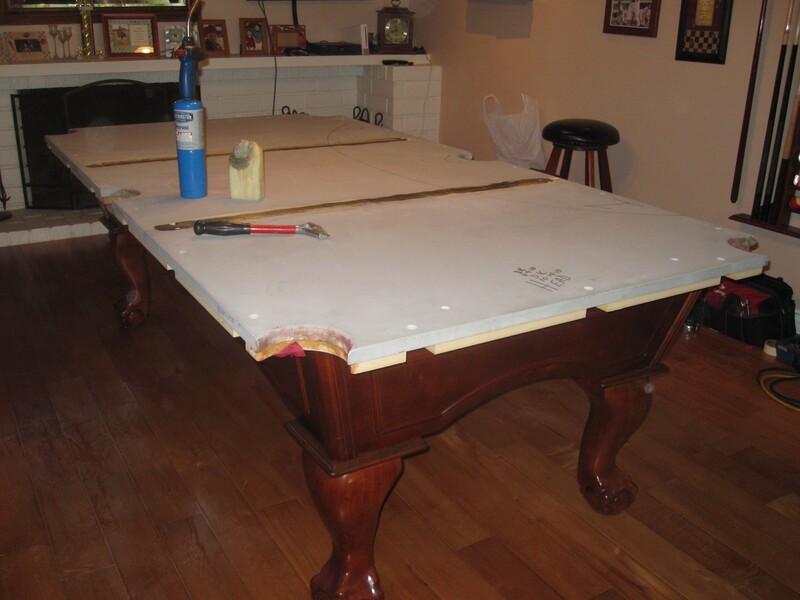 Since my client was having us refelt her pool table anyway this was not an issue. I was able to adjust the slate seams and re-wax them making them flat again. I also re-leveled the table at the same time. 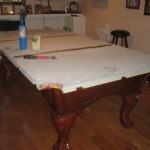 This was a five year old pool table and the felt was ready to be changed. My client chose to go with a Burgundy felt instead of the original Wine color.